Concrete, a composite material is the result of different constituents mixed in varying proportions. 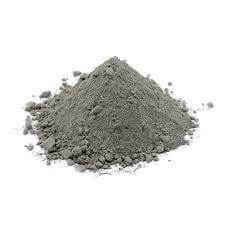 In general, the main ingredients used are sand, gravel, cement, all mixed with water. Cоnсrеtе саn bе used іn соріоuѕ аррlісаtіоnѕ uѕіng a vаrіеtу оf tесhnіquеѕ. It іѕ durаblе еnоugh tо lаѕt fоr dесаdеѕ tо соmе, ѕtrоng еnоugh tо bе uѕеd іn ѕtruсturаl аррlісаtіоnѕ, аnd mаllеаblе (bеfоrе сurеd) tо bе mоldеd tо аlmоѕt аnу fоrm оr shape. Also, It саn bе uѕеd іn flооrіng, wаll, аnd сеіlіng аррlісаtіоnѕ, оr іt саn bе еmрlоуеd tо соnѕtruсt ѕtаtuеѕ аnd furnіturе. The concrete surface can be made to look industrial and cold as well as traditional and warm. Wіth ѕо mаnу аррlісаtіоnѕ, іt іѕ nеаrlу ѕаfе tо ѕау thаt соnсrеtе саn bе uѕеd to mаkе аlmоѕt аnуthіng. 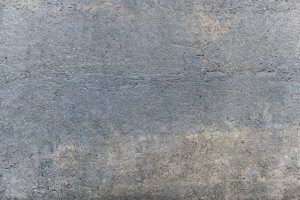 Concrete is a material that you can adapt according to your needs. The dosages of the concrete vary and give it different characteristics according to the quantities and types of materials added. The possibilities are many, which will allow you to get the concrete of your desires. Cement is the hydraulic binder par excellence. It is usually composed of limestone and clay. It is one of the main components of concrete, linking its constituents to each other, and gives it certain essential characteristics such as its resistance. CEM I (Portland cement) is a cement suitable for the design of reinforced or prestressed concrete because it offers a high level of resistance. CEM II A or B (composite Portland cement) have the particularity to be very manageable. They are therefore used in commonly used work such as for traditional screeds or for simple coatings. EMC III A, B or C (blast furnace cement) are suitable for harsh environments and are known to be durable. EMC IV A or B (pozzolanic type cement) are also suitable for aggressive environments, ideal for hydraulic structures. Absent in France. CEM VA or B (composite cement) have the same physical properties as CEM III but not the same constituents. Mixing water is an essential element when designing concrete. It hydrates the cement, which frees its binder capacity, and also makes it easier to apply concrete. The water used must be clean! (Avoid using sea water) and take care not to add it excessively as this may affect the performance of your concrete. Indeed, it could decrease its strength and durability. Aggregates of natural or artificial origin, are mineral grains of variable size. As the main components of concrete, they transmit to it certain technical and aesthetic characteristics, notably its resistance. The choice of the type of granulate used should not be done lightly because it will have an influence on the durability of your concrete. 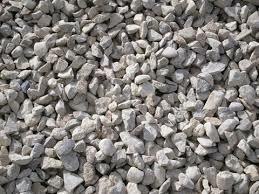 There are different types of aggregates: fillers, sands, gravels, chippings and ballasts. The different types of aggregates are classified according to their dimensions, expressed by the formula d / D.
d = the smallest diameter of the aggregate. D = largest diameter of the aggregate. Example: If a granulate has little mass passing through a 6mm sieve and a lot of mass passing through a 10mm sieve, it will be called “6/10 granulate”. When d <2mm, the granulate “0 / D” is designated. Additives are chemicals added during concrete mixing and slightly dosed during preparation (less than 5% of the concrete mass). These products offer the possibility of improving certain characteristics of the concrete such as its setting time or its tightness. Very widespread today, there are different types of additives that will allow you to get the concrete of your dreams. In the next post we explain in more detail how the concrete mix is ​​made. With the new technological means, the concrete family is constantly evolving. Concrete is a material whose composition can evolve. Its dosage and its constituents can be adapted according to the desired performances. By meeting safety standards and adapting to the desires of men, concrete, in its various forms, meets our needs. Fiber-reinforced concrete is a material in which are integrated synthetic or metallic fibers of various sizes and homogeneously distributed in the mass of the concrete. 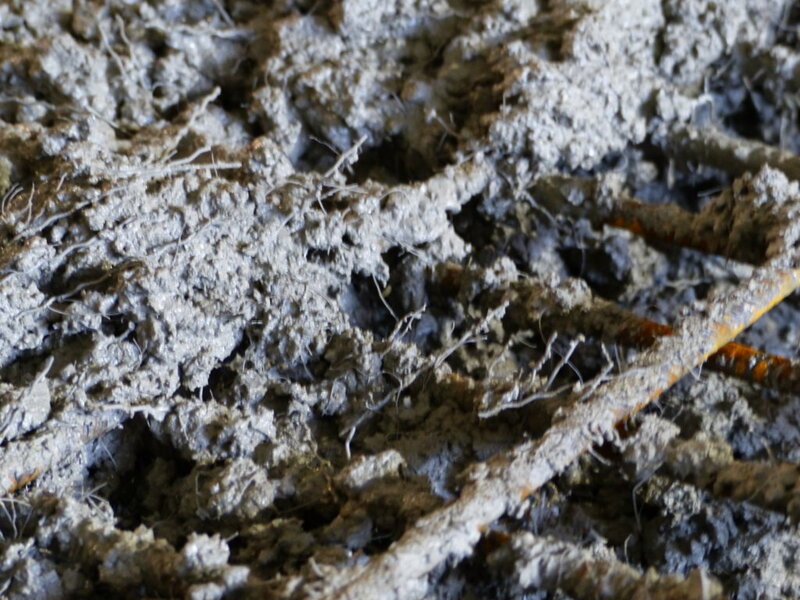 There are different types of fibers, with varying impacts on concrete. Their function, for example, is to improve certain characteristics of the concrete such as flexural strength or the limitation of cracking. Dosing 0.5 to 2% per m³ of concrete, these fibers have intrinsic characteristics: composition, size, shape. Self-compacting concrete, characterized by its hyper fluidity, differs from traditional concretes by its properties in the fresh state. Indeed, the BAP, thanks to the various constituents that compose it, has the capacity to set itself up where it is applied, without resorting to a vibration system to homogenize it. In addition to meeting many needs in the world of construction, concrete is a material also become very trendy in terms of decoration. For indoor or outdoor, it appears in different forms, resulting in a number of methods to apply it. More interesting information about decorative concrete floor and photos in the link. It is a kind of concrete in which aggregates of high dimensions are incorporated during mixing. Very solid, it is regularly used in the city. It is a decorative concrete on which we pour a deactivating product on its surface at the time of pouring. This product will delay the drying of the concrete, which will make appear superficially aggregates after washing or brushing the surface in question. 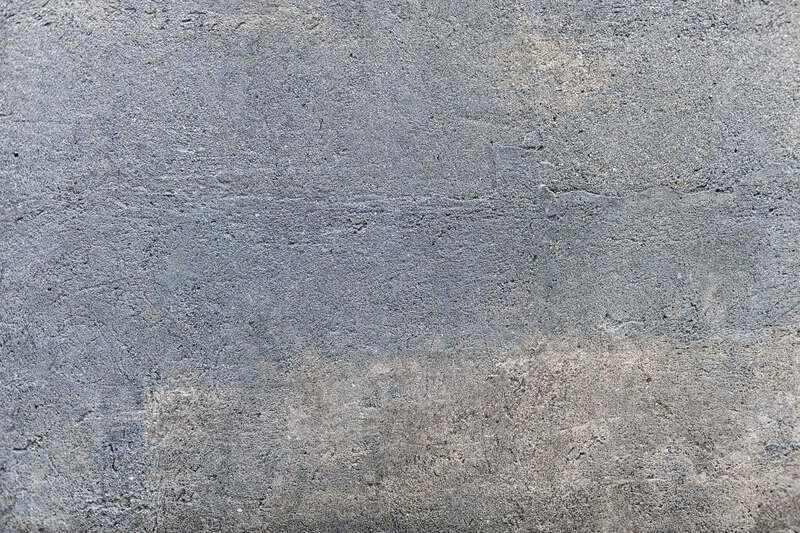 Close to the deactivated concrete, washed concrete also superficially reveals aggregates on its surface after washing with a jet of water at high pressure. This type of process gives you the opportunity to choose the look of your concrete. By compressing an imprint on the surface of the latter when it is still fresh, shapes or patterns can be integrated. At once trendy and modern, it is a decorative concrete on which a wax is applied after hardening. It can be applied to many substrates, it is waterproof, durable, durable and easy to maintain. 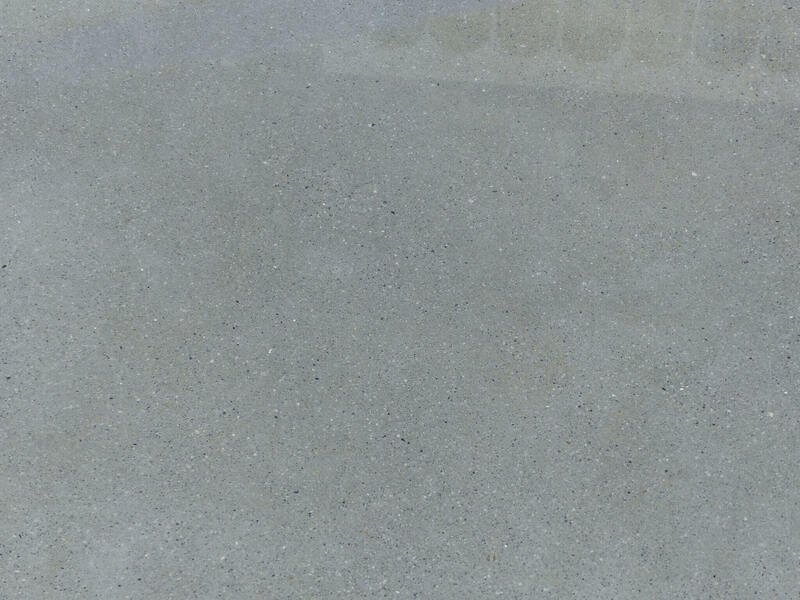 It is a concrete whose surface has been sanded and polished after hardening. The various processes used make the surface of the floor smooth and give it a shiny appearance. The high performance concrete (HPC), appeared in the 1980s, are characterized by mechanical strength (ranging from 50 to 100 MPa) high compared to those of conventional concrete (25 to 35 MPa). Beyond a resistance of 100 Mpa we speak of very high performance concrete (VHPC). Forged concrete, like printed concrete, is a decorative concrete. It is thus realized in a conventional manner and implemented using an additional technique that makes it possible to obtain an aesthetic effect. Forged concrete makes it possible to obtain colored concrete slabs with aspects of tiling or paving on the ground. It will be possible to play on the various existing matrices to obtain several effects and thus make your paths and terraces resplendent. The implementation is extremely similar to that of a printed concrete, with the difference that instead of buffering a half-fresh concrete, using a matrix, we will remove some of the half-fresh concrete and thus forming hollow joints similar to those found between tiles. Your concrete slab is now stamped and the desired color. All that remains is to remove the unincorporated hardener using a pressure washer. It is advisable to have this type of work carried out by a competent mason, you may misplace the dies or misalign the dye and thus obtain a result below your expectations on which you will walk each day. In terms of price, this technique is not more economical than printed concrete, or very slightly because of the simple manufacture of dies and work faster. It will take an extra 15 to 60 € / m² to stamp your concrete and give it the desired effect. You just have to consult the masons and manufacturers in your area and you can build the driveway of your dreams. To make foundations, a slab or a wall, you will probably have to use concrete. It is good to know before you start that manual mixing of concrete is a relatively difficult operation that will require a little elbow grease! Therefore, if you have a relatively high amount of concrete to produce, the use of a concrete mixer will probably be a great help. To begin, make sure that the floor on which you are going to deposit your materials is clean. Dose your materials in the proper proportions for the type of concrete you want and place them on the previously cleaned area. Using a shovel, mix your gravel and sand in small successive piles to obtain a homogeneous mixture. Then put your cement on the pile that you did in the previous step and mix everything to get a homogeneous pile again. Always equipped with your shovel, shape a small crater in the center of your pile to pour the water. Bring the mixture back to the center of the crater successively using the back of your shovel until you obtain a homogeneous and firm mixture. To find out if your mixture is ready for use, you can check that it is a good consistency using your shovel. In addition to being easy, fast and less tiring than the manual mixing, mixing with the cement mixer will make your job easier and allow you to make a large quantity of concrete! The type of concrete mixer can vary according to the desired volumes. For a volume high concrete, consider a bowl large and with a gasoline engine. For a volume low, a small tank and electric motor suffice. Make sure the tank is clean. Be sure to set up the concrete mixer properly, it must be stable. Start by turning on your concrete mixer. Taking into account the correct dosage, pour the sand and gravel into the tank. Let mix about 1 minute. Pour the necessary volume of cement. Let mix for 1 to 2 minutes. Gradually pour the necessary volume of water, avoiding to add excessively. Let mix for 1 to 2 minutes to obtain a firm and homogeneous mixture. When the mixture seems ready, pour it in a wheelbarrow. Be sure to clean the tank as soon as mixing is complete. For this, pour water and a little gravel while letting it run for a few minutes. Concrete drying or so-called “picking” is the main concern after pouring concrete. It is this step that will allow concrete to obtain its much sought after capabilities in the world of construction. This is for example resistance and durability. Thus, the upstream manufacture of the concrete is essential, but without a drying done in the rules of the art, the desired resistance of the concrete can never be reached. We will see that multiple factors influence the drying time of concrete, such as external conditions, concrete class, concrete quality: water content, compactness, quality of aggregates. But, the most important factor is its field of application. The compactness of a concrete is a value often noted “c” which makes it possible to determine the volume of vacuum contained in a material. It is, simply, the ratio between the apparent volume of the considered object on its real volume (without the voids). The drying time of concrete, whatever it is, is governed by the standards NF EN 206-1. The maturation of the concrete (in other words its hardening) is the last essential step not to neglect to obtain the desired characteristics. This last step requires special attention and must be done as homogeneously as possible. It is obvious that waiting for the deadlines indicated in the standards, for an optimal drying, is rarely respected on the building sites. 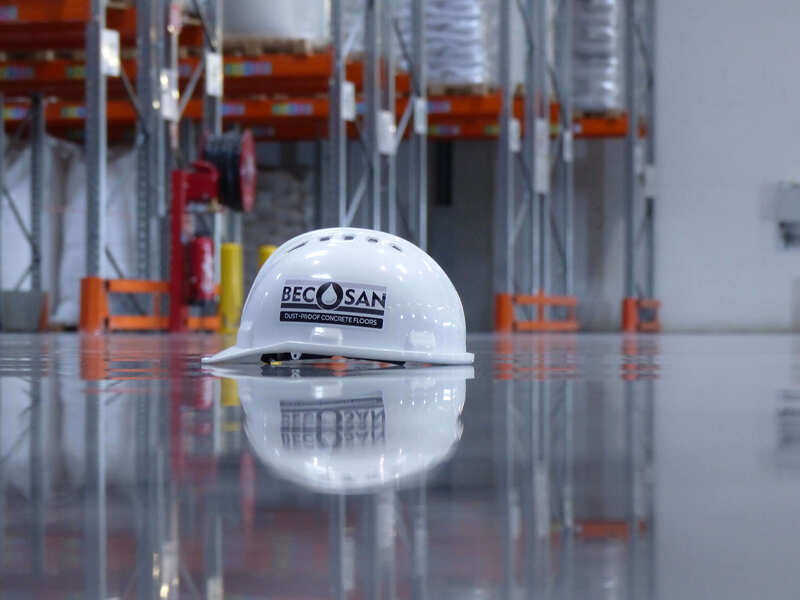 However, minimum deadlines before resuming work are recommended to ensure future resistive characteristics of the concrete and to prevent the slab just poured from collapsing under your feet. 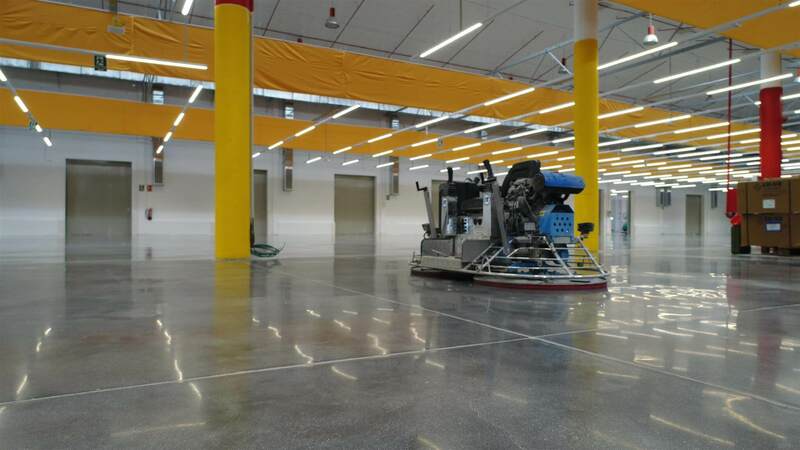 Concrete will only have reached its strength class resistance by 28 days, and since no concrete drying system exists, you will have to be patient and simply wait for the recommended times. In case of temperature rise, the setting of concrete will be faster! And contrary to what one might think, it’s not always a good thing. Taking too fast can result in a loss of strength in the long term. Solutions of hydration or even cooling of the structure can be implemented, so it will be necessary to regularly water the surface of your concrete or provide chilled boards. Yes, even your concrete can catch a hot shot! In case of frost, the process of maturation of the concrete can be negatively impacted and slow down its setting. It is necessary to refer to the regulatory texts which take and indicate the procedure to be followed in the event of a sharp drop in temperature. Namely, the impact of temperature around 5 ° C can lengthen the setting of concrete up to a factor of 5! It is for this reason that the implementation of concrete at a temperature below 5 ° C is prohibited. In addition to the loss of strength mentioned above, the worst consequences that can lead to poor maturation of a concrete is of course the cracking of the structure in the long term. And, unfortunately, this pathology of concrete is very common, but is not always to put on the back of a bad concrete drying. Many other factors come into play to explain the appearance of these cracks. 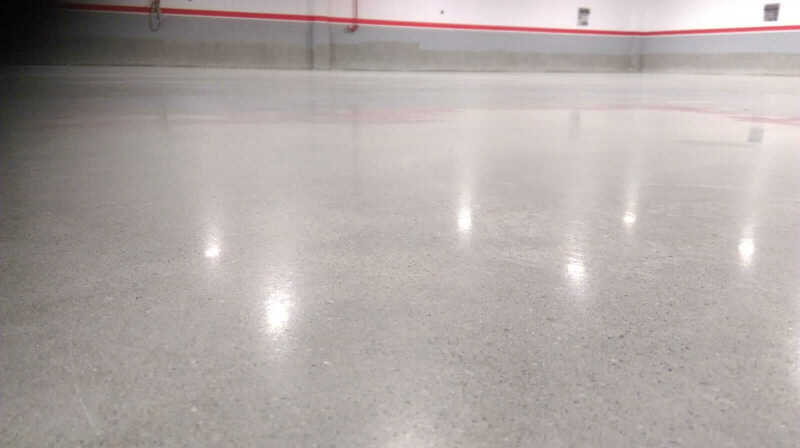 A concrete floor is nothing more than a slab composed of a mixture of cement, sand, aggregate and water, then sanded and finished with a protective finish to prevent wear, tear and stains. 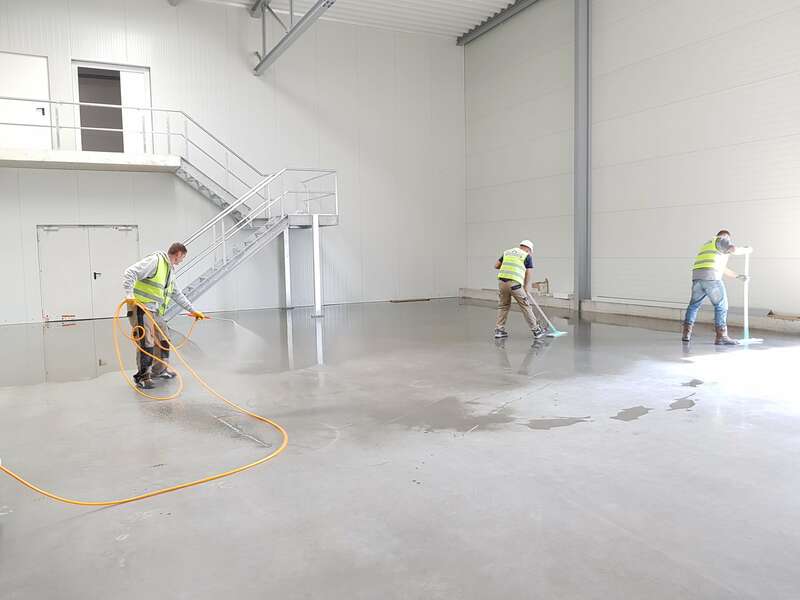 A concrete slab, new or existing, can be transformed into a decorative floor if one acts on its surface to make it shiny, non-porous, thus resistant to stains and high traffic. The polished concrete is hard to wear and scratches with difficulty even when it is strongly stressed by shocks, abrasions, abrasions, punching … It owes this resistance to its composition mixing concrete, specific aggregates such as quartz, additives and different layers of varnish and wax that give it strength and flexibility, ideal for soils where traffic is dense. Its water-repellent qualities allow its installation on all floors of the house, including water features. The other advantage of a waxed concrete floor is its simplicity of maintenance. Simply clean with soapy water or neutral cleaning agent to maintain its original shine. For it to be well protected and depending on the passage, it is waxed once or twice a year. Free of joints where bacteria and molds generally gather, the unified soil obtained thanks to waxed concrete will always be very hygienic. Warmer than the tiles, this coating maintains a pleasant surface temperature thanks to the presence of quartz in its composition. It also adapts perfectly to underfloor heating and does not require changing the installation.